Firebrand Bar opened in Launceston in November 2014 and have spearheaded a food revolution in the old county town. Having heard so much about the place, I recently went on a pilgrimage to Warren’s, Little Bakehouse and Firebrand Bar; all three are top quality operations, and all worthy of a visit. The people at Firebrand have been kind enough to share with us their blog about the town, and how it is fast becoming a foodie destination. Just a few years ago, legendary Launceston butcher Philip Warren was on his own flying the foodie flag for the town. While places like Padstow and St Ives had already cultivated excellent reputations among holidaymakers, Launceston was somewhere those looking for quality Cornish food tended to bypass. Those in the know are no longer flying past on the A30 as they head west, stopping instead to sample the exciting range of foodie delights which are opening at an increasingly regular pace in the town centre. 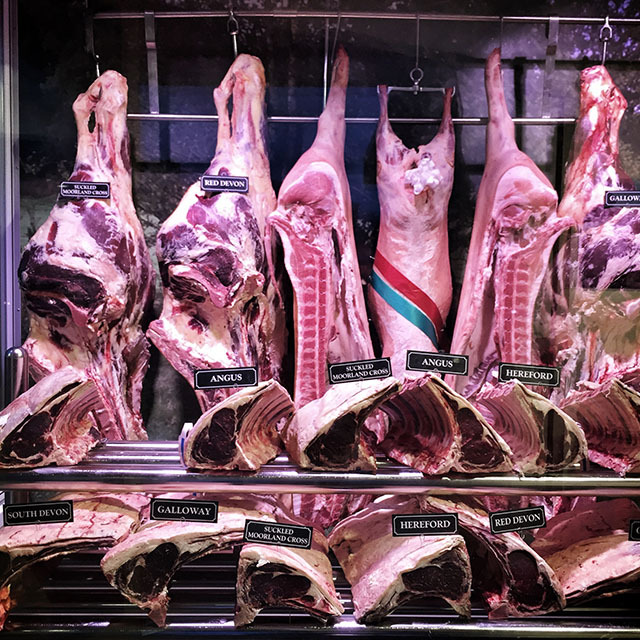 Here at Firebrand Bar & Restaurant we serve a variety of meat from Warren’s – a Launceston institution run by a family which has been farming and butchering since 1880. As well as opening a successful butcher’s on Pennygillam Industrial Estate they’ve stayed loyal to Launceston town centre, knowing what a huge draw their flagship town square shop is and recognising the enormous impact it has on the local economy. It’s not surprising that Launceston people, top London restaurants and Michelin starred chefs alike recognise the outstanding quality they’re getting from this absolute gem. 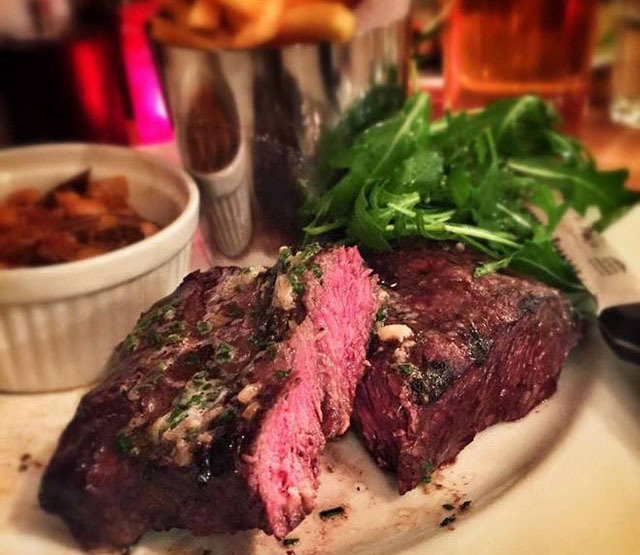 The meat is still dry aged and matured traditionally on the bone and comes from the family farm, as well as farms on Dartmoor, Bodmin Moor and the Tamar Valley. 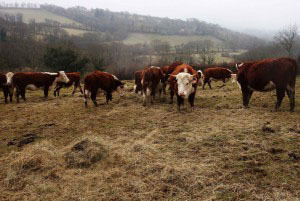 The focus is on suckled native breeds, including Red Devons, South Devons, Galloways, Welsh Blacks, Aberdeen Angus, Red Herefords and Dexters. Rare breed pigs range from Saddlebacks to Tamworths to Berkshires. Walking into Warren’s is a chef’s dream. Cut after cut is lined up before your eyes and anything not on show is available by request. Nestled at the bottom of the old Liberal Club with the castle looming overhead sits one of the best speciality coffee shops in Britain. 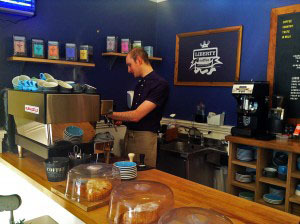 Local man Ben Statton opened Liberty Coffee in September 2012. His meticulous attention to detail, varying brew methods and ever-changing selection of coffees has rightly earned him a place in the South West Independent Coffee Guide. An excellent selection of homemade cakes, loose leaf teas from Brew Tea Co and real hot chocolate provided by Kokoa Collection make Liberty Coffee an essential stop off on your foodie tour. You’ll find it easy to see why it outranks many top London coffee shops. Little Bakehouse is the newest addition to Launceston’s town centre foodie scene. Opening shortly after Firebrand on the site of an old sweet shop, the artisan sourdough bakery serves up fresh breads, soups, cakes and coffee, as well as the occasional quiche. It’s been wonderfully done out with lovely touches such as a big farmhouse table for you to eat at with beautiful old crockery and cutlery. 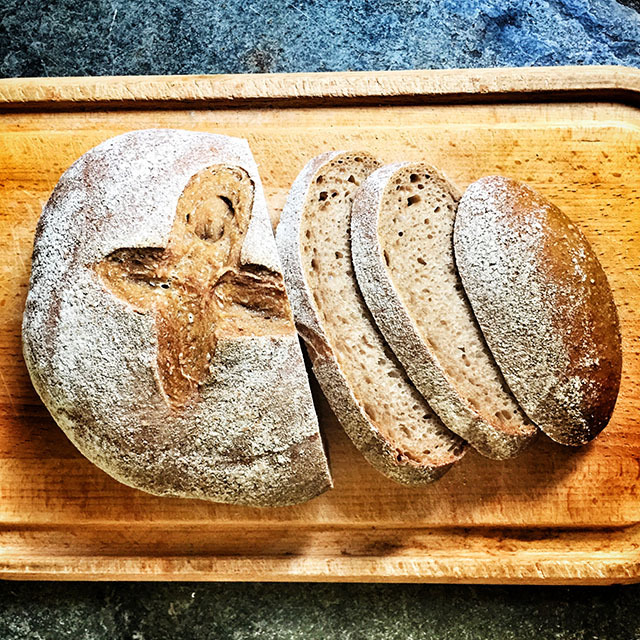 As members of the Real Bread Campaign they bake without any processing aids or artificial additives. The Beer Cellar was opened by Penpont Brewery and offers a wide selection of some of the best Cornish craft beers and ciders. It’s not limited to local ales, however. 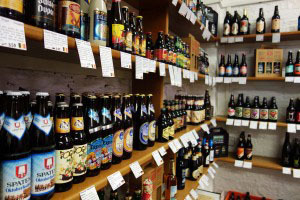 Venture up Chings Alley and you’ll find beers from around the globe. Tarquin’s Dry Gin is also in stock, alongside his Cornish Pastis and Xanté pear liqueur. When Joe Thomson opened Firebrand Bar, he did so out of a desire to serve up great American-style food using quality Cornish ingredients. His Rick Stein-trained brother Eddie came on board as head chef and the result was a being shortlisted for the title of Best Burger Joint in Cornwall within three months of opening and a fantastic response from foodies. Launceston is becoming an essential stop off for any foodie heading into Cornwall. Whether you want a quick bite, or your family would like to spend a day in a beautiful town, it’s ideally located on the A30 next to the Devon border. Parking is just £2 all day Monday to Friday and £1 all day Saturday in the Upper Cattle Market car park. On Sundays all the car parks are free. For details of attractions including visit Launceston Tourist Information Centre. You could also include The Food Assembly: a ‘click & collect’ food store selling exclusively local artisan food direct from producers to local customers: near zero food miles, really fresh and really local food (e.g. veg is normally in your basket 6-24 hours after being picked, compared to supermarket where it takes a minimum of one week, usually two), really good for local sustainability, really good for local producers (who get over 80% of the sales price compared to 40 or even 20% from supermarkets and shops). Prices compare well with supermarkets and their organic Red Ruby grass fed beef is about HALF the price of Warrens! They even offer Home Delivery service. With 15 producers, over 240 food items on offer and almost 600 members, Its a real food retail breakthrough. What a shame it’s such a miserable place , and in Cornwall , a gloomy backwater, very depressing place the best view is via your car mirror .i.e Leaving!! !